Get the most out of the OnePlus 6T's camera with these great tips. 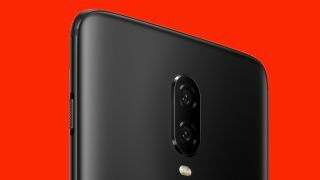 The OnePlus 6T was one of the most anticipated cameras in 2018. This was thanks to the OnePlus' rabid fan base and its history in offering high-end phones at an affordable price. That, and the OnePlus 6 was revealed to be one of the very best Android phones of 2017. There's a 16MP / 20MP dual rear camera setup and this is complimented with a 16MP front-facing selfie camera. Both cameras have a f1.7 aperture. Same specs, then, but that doesn't mean that OnePlus hasn't been busy with improvements. In fact, it's added two fantastic new features to the cameras: Nightscape and Studio Lighting. Here's some fantastic tips on how to get the best out of these modes and more. Another cool feature is Studio Lighting. Head to Portrait mode and this feature gives your shots are really nice lighting sheen to them. This isn't a feature you can choose but it is baked into this mode and it really does add a light enhancement to an image. This feature is also available on both the rear and front camera. The OnePlus 6T has optical image stabilization so it can handle a good deal of shake. This is good for features such as Nightscape, where long exposures are needed. If you feel like you still aren't shooting straight with the OIS then switch on the grid option and there is a line in the middle of the shot. When this line is green, then you are shooting straight. The Pro mode in OnePlus 6T gives you ultimate camera control. Here you can manually play with the ISO, white balance and you can also amend the shutter speed, too. This feature also has a histogram, so you can see a huge amount of detail what's really going on with the shots you are taking. HDR is the new-ish buzzword in photography. When it's on it can great enhance the detail in your shots and offer a more cinematic, richer feel to your photographs. This is on by default. If you want a bit more control then you can go into settings and turn Manual HDR on and off. Turn manual on and you will be able to use HDR to your liking and the camera won't just automatically add this to your images. Grids are like Marmite: some people love using them while others wouldn't be seen dead using them to compose an image because all of that is - *taps head* - up here. There are three different versions of the grid feature, depending how many squares you want the image broken into. If you are new to photography then this is something you should definitely use.